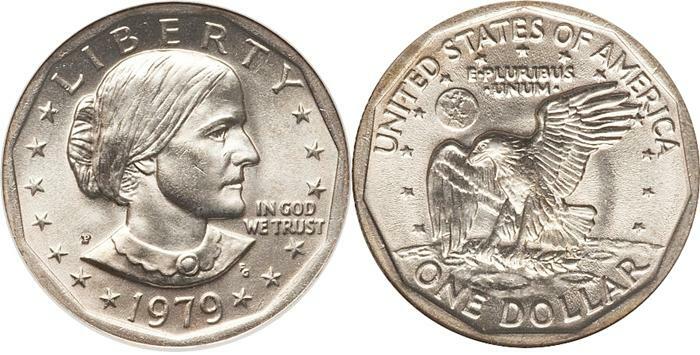 Most Susan B Anthony Dollars (SBA’s) are worth a $1 since they’re circulated or low MS (Mint State) grades, or grades lower than MS64. The 1981-S is a key date and worth around $40 in MS64 and the 1981-P and 1981-D are lower mintage dates and mints so they’re worth a bit more than the other dates as well. Since the series had a short run and were not very popular there’s not much demand or premium, so seek out original BU (Brilliant Uncirculated) rolls and put them away for the future. It might take some time but the more the original rolls are opened over time, the more rare unopened rolls become, so there’s a chance for a value increase here. The 1981-S you want to find in the grade MS66 since they’re worth $600 in a PCGS holder with that grade. 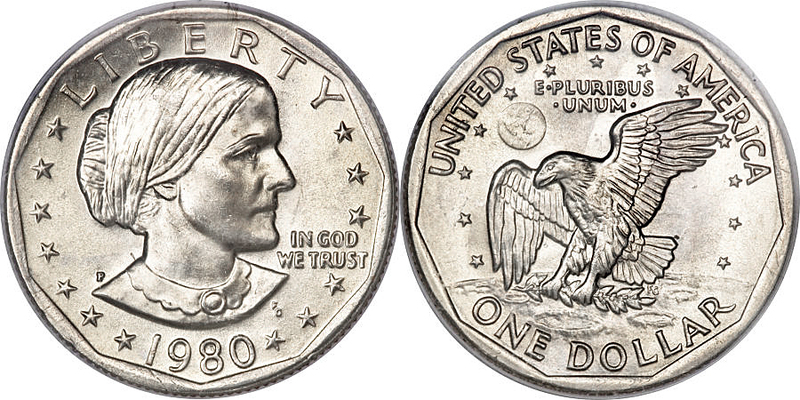 Susan B Anthony Dollars are rare in MS67 and above so their value jumps in this grade and above. Also search for the 1979-P Wide Rim, 1979-S Clear S (proof) and the 1981-S Clear or Flat S (proof) since these are the most desirable varieties of the series. The 1979-P Wide Rim in MS67 is valued at $4,000.